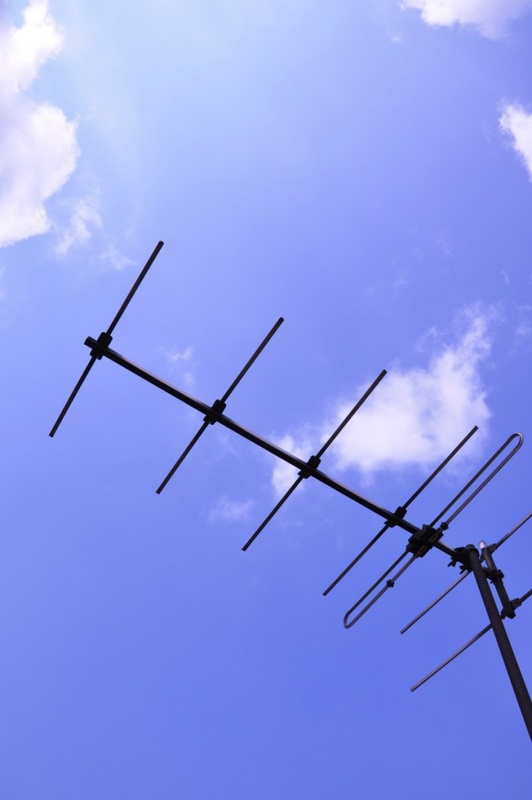 No matter what antenna is used for signal reception, satellite or traditional, a signal on a TV receiver or the receiver enters through the antenna cable. In case of violation of the integrity of the cable and possible loss of signal or appearance of image noise. 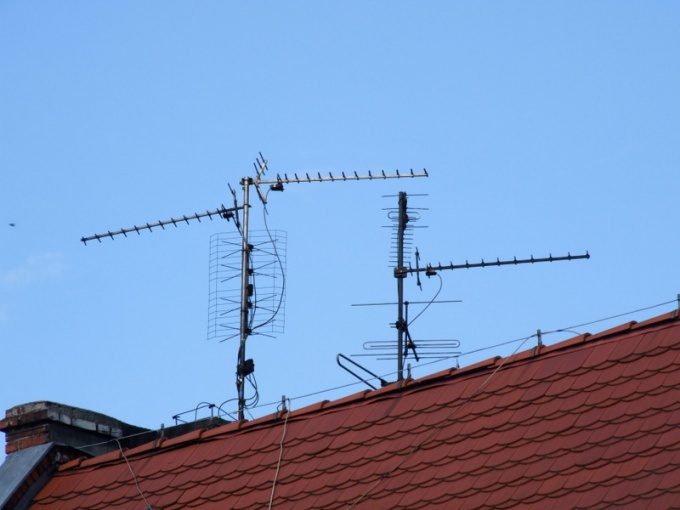 When checking the TV cable a lot depends on whether the collective antenna installed in an apartment building, or an antenna in a private household. In the first case, you do not have access to both ends of the cable, so measurements have only part of the antenna plug. Measure a tester (multimeter) the resistance between the Central core and braid of the cable, normally it should be several tens of Ohms. If it is infinitely large, it indicates a cliff. Conversely, if it is close to zero, is short-circuited. Ask your neighbors if they have any TV signal. If there is, then, the fault should be sought in the area from the junction box at the entrance to the antenna plug. 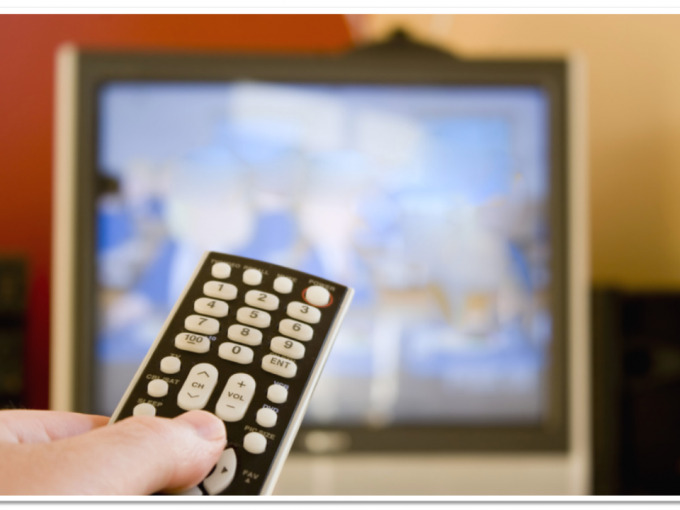 If you live in a private house and you have access to both ends of the cable, first disconnect the cable from the TV (pull the plug) and from the antenna – in the latter case, you may need to Unscrew a few screws. Now check the copper core and braid for a short, serviceable cable the resistance should be infinite. Next, close one side of the copper core and braid and check up a tester resistance on the other side, it should be close to zero. This suggests that the cable is serviceable. To check the cable going from the satellite dish, disconnect both the F-connector from the receiver and LNB antenna. Next, check the copper core and braid closure (the closure is a fault). Then, closing them with one end, on the integrity – the resistance should be almost zero. If the cable is working, the issue might be elsewhere. In that case, if the device indicates an open, try to assess where the most vulnerable spot of the cable. This is usually the areas shaken by the wind or have sharp bends. Vulnerable and the joints of the segments of the cable, they should be checked first. Try to use a cable connection have a negative impact on the quality of reception. If you have to connect pieces of cable, be sure propagate the joints and insulate carefully. Circuit the Central conductor and braid usually occurs in the joints or in the antenna plug. Today, almost all urban homes have connected a cable TV. Wiring the TV cable is included in the total transaction of residential premises, and therefore in the process of renovations you should consider how to lay the TV cable so that he later did not interfere and you do not stand out renovation and interior design. Consider the placement of the cable in the apartment depending on the layout, sequence of repair works, as well as the size of your TV and location it in the flat. Organize cable distribution system, which is particularly relevant if you want to connect multiple TV sets in the apartment. Place the rack with switching in the hallway. If your house has a satellite TV, route the cable from the antenna to each tiliroside. Get the cable from the satellite dish from the front. If you have the apartment has an ordinary cable - TV, insert the cable from the stairwell of tower provider of cable television in the apartment distribution Board. Connect the cable no more than two televisions, so as not to cause disruptions of the signal due to overloading of the distribution network. 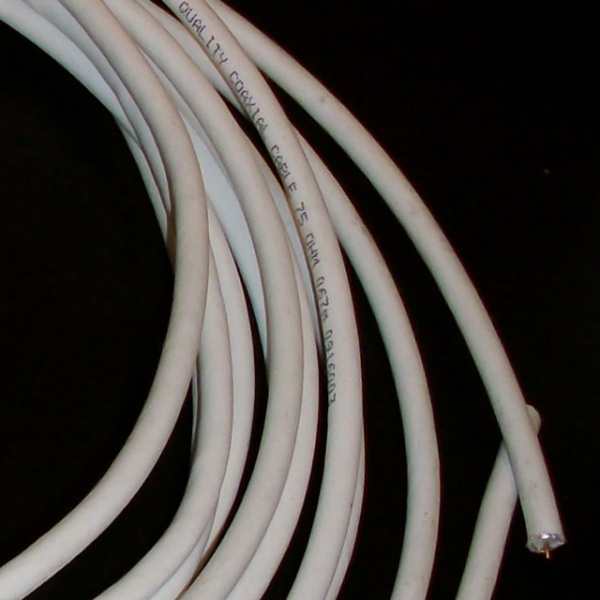 Guide to the installation of television outlets from a distribution Cabinet cable of type RG-6. Later in such TV outlet it will be possible to connect the TV and different digital devices. If you have IPTV, you'll need a computer outlet. In this socket you will need to connect your IPTV set-top box that attaches to the computer via the corresponding inputs. In the case when cable TV in the house combined with the satellite cables from your satellite dish lay, as usual, in the housing Cabinet, which, in turn, route the cable to the TV outlets. To combine the signal from two sources-television, use, use the dual-band power sockets and diplexors. In order to television began to take the channels, just enough to bring it into the room and to include. It is also necessary to connect the antenna. From the correct choice depends on the number of received channels and the quality of their reception. Remember the cardinal rule: if the braid of the antenna cable is grounded (if the antenna collective, it is always so, but often it is grounded and from individual external antennas), touch both metal elements plugged in the TVand plug when they are not connected, it is impossible! It is also impossible to touch both metal parts of the two plugged in and not connected to each other devices (e.g., TVand DVD player) and connected the cables, even if the antenna is not grounded. In addition, you can not touch the metal parts of the TVand any video equipment, and antenna cable telescopic antenna in the case if your body has acquired an electrostatic charge from the screen CRT TV (e.g. wiping).Never install an outdoor antenna yourself, if you are not sure that will be able to provide reliable lightning protection. Solder the cables to any grounded antennas only soldering irons with proper insulation. In order to connect to the TVhave a built-in adenostyletea telescopic antenna, insert the plug coming from the body of the device on the wire to its antenna socket. If there are two nests corresponding to different ranges, move this plug to the one that corresponds to the range in which you are currently receiving. If to the TVhave also attached a ring antenna, built-in telescopic plug in to the socket corresponding to the metric wave band, and the ring - to the socket corresponding to the range of decimeter waves. Some TVs, the second antenna will be to keep straight on the nest, while others will have to consolidate at first. If the TVhave a two-pin attached telescopic antenna, attach sasima out symmetrical ribbon cable, a special adapter-soglasovatel, if you haven't done so already. Then connect the adapter to the antenna Jack on the TVand (in these machines it is usually one). If an indoor or outdoor antenna is an all-wave, and TVand separate entrances for antenna ranges VHF or UHF, use a dividing splitter. Similarly, if the TVhas a input for the wave aerials, and you have two separate antenna bands VHF and UHF, use a unifying splitter. Both devices are sold in hardware stores. To connect one antenna to multiple TVam use another device, called CRAB cable splitter subscriber household). It is also sold in hardware stores. Best of all this unit works with collective antenna. To use an antenna with amplifier, after its connection to the TVat turn on the socket power supply. Turn it off simultaneously with the TVom. To connect a satellite dish to the TVfrom directly. Use the satellite receiver. To mount it, special knowledge is almost not needed (all described in the instructions and on websites), but they are required for the successful guidance of the "plates" to the satellite. When choosing a cable television it is important to know the criteria that determine its quality and guarantee good work. How to choose a really reliable cable? Note the wave resistance should be not less than 75 Ohms, as it determines the amount of interference. Cables usually have different diameters – 4 mm and 6 mm. it is Better to choose a cable with a larger diameter, as it affects the protection from interference and distortion. By purchasing the cable, pay attention to its cut. Television cable consists of a Central core, layer of screen, aluminum foil and an outer insulation, performs the function of protection from damage. If the foil is absent, it's plain text says that the cable is poor quality and such is better not to take. In addition, the foil should not flake off, and pasted needs to be lapped. Some of the metal needs to be made core, there is no consensus. Many clients prefer all copper wire, but experts say that the wire is of a metal alloy performs its functions is not worse and cheaper. Best option: foil provided with copper braid and the insulation must be very tightly pressed to her. Braid and foil to reduce signal loss by radiation, so the image quality will be higher. Choose the cable with the most dense insulation under it did not get rain water if the dish mounted on the roof or on the balcony. If water gets inside the foil will break down, and the cable will quickly become unusable. Calculating the square footage, consider all the slopes, lifts turns and don't forget to leave some in reserve in case you need to move the TV in the apartment. Be careful about purchase high-quality connectors and splitters. Do not use improvised twists and adhesions. Remember that this will depend on the quality of the image, and the length of the cable. The cable that connects the antenna with the TV, works fine only in the absence of short circuits and breaks. If the television signal is transmitted intermittently, be sure to check whether the reason for this cable. Before making any measurements, be sure to first unplug all the TVs in the apartment from the network, and then cables from them. If we are talking about the collective antenna, and the splitter in the get with the ohmmeter to the opposite end of the cable will fail. Will have to measure from the side of the plug. Check the resistance between the ring and pin plug. It should be several tens of ohms, due to the presence inside the amplifier, located in the stairwell, a matching resistor. If it is close to zero, a short circuit, and if close to the infinity open. Work much easier in that case if the user has both ends of the cable. The simplest case occurs when the cable is connected to the indoor antenna. If it is equipped with an amplifier, disconnect power. Remove the antenna cover on the connection cable. Then using ohmmeter will ring first braid, and then the copper core of the cable the resistance should be close to zero. The resistance between them should be close to infinity. When the cable is so long that connect an ohmmeter to both of its end is not possible, using this technique. Unplugging the cable from the antenna or a splitter from the plug, connect the ohmmeter between braid and inner core. It should show infinity. Now go to the opposite end of the cable and jumper. Go back to the ohmmeter — it should show a resistance close to zero. To determine the location of damage, inspect the cable throughout its length. It is possible that you will find on it a dent — this is the place you need to carry out splicing. If the dent is not found, please connect it to the cable on one side of the ohmmeter. If earlier it turned out that there was a cliff on the opposite side, install the jumper, and if circuit, do not install it. Asking the helper to monitor the ohmmeter, walk across the entire length of the cable, affecting it mechanically. Once the assistant will report on the change of the readings of the ohmmeter, stop and repair the damage. Note that damage may be more, and if eliminating one of them did not give result, try to find another. After elimination of damage the ohmmeter and remove all jumpers and connect the cable back to the antenna (or splitter) and TV. Do not work under tension.